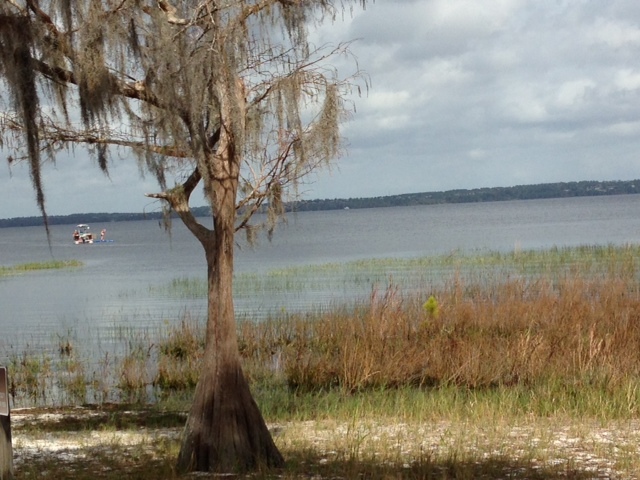 Some people say the Clermont Chain of lakes is dead for fishing, well I am hear to say it’s not…… Lake Louisa is the southern-most lake in the Clermont Chain of lakes, and the State Park is on the south shore. The park is a few other small lakes on the property, and does have camping and cabins for our friends from the north to visit. You can tell it is snowbird season here in Florida, as the park was full of campers, and the cabins appeared full. 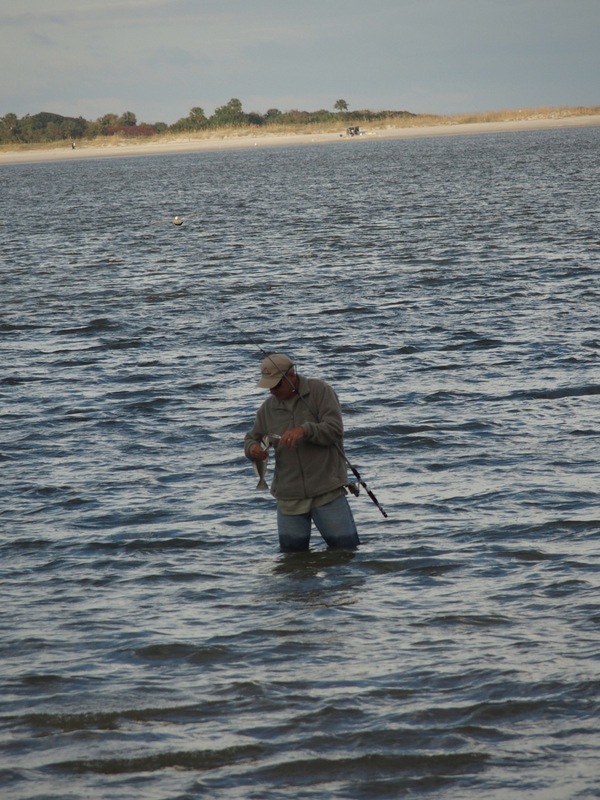 I decided to wade on the southern shore of Lake Louisa, and when we got tot he park around 10:00, the beach area was almost empty….. Wading is one of the most enjoyable ways to fish, whether you are saltwater or freshwater fishing. 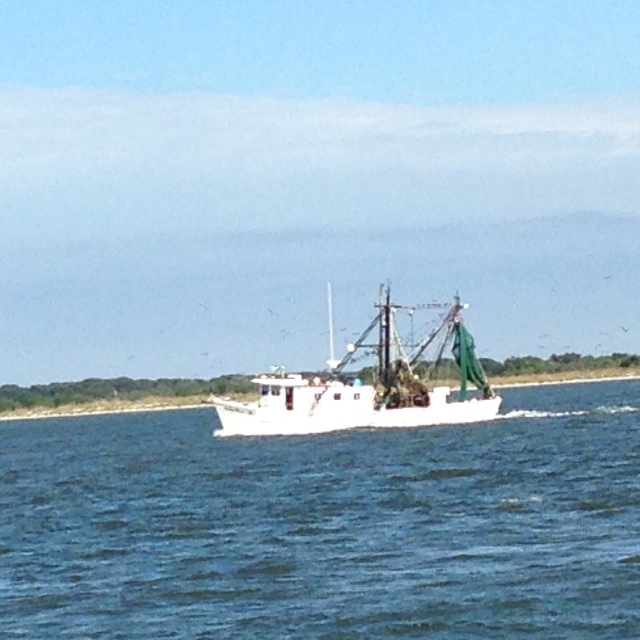 You get the feeling of being one with the fish….. The weather was warm in the 70’s, but the wind was howling out the south. 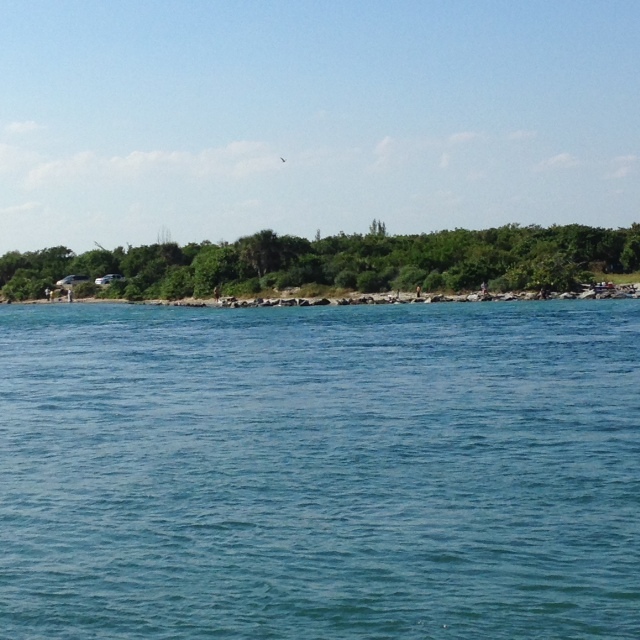 This worked well for me since the lake is surrounded by large cypress trees that blocked the wind and made the water fairly smooth on the southern shore. The water level was up about 2 feet from the last time I visited the park, and this made wading even better since I grass that surrounds the shore was in about 2-3 feet of water. I decided to cast a watermelon fluke and work it around the grass patches. 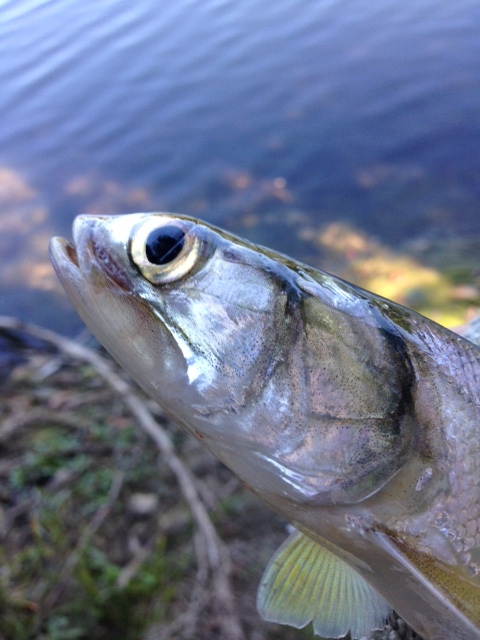 I caught a small 10″ bass on top within the first half hour, so I was happy I did not get skunked. 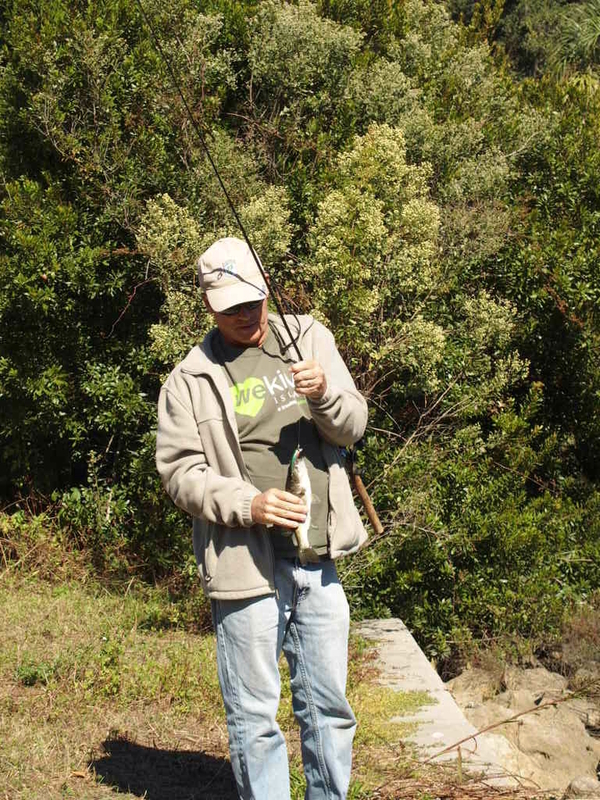 I am only fishing for about 2 hours in each park, so catching a fish, any fish, is a great start. After a few bites and misses, I saw the water boil in some really thick weeds. 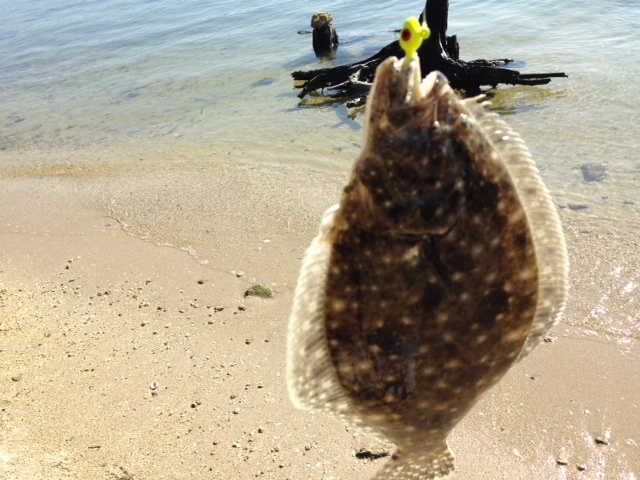 I had very little room to hit the target in the weed, and was lucky to land the fluke inches from the boil. Two twitches and a pause, and the fight was on! This was a nice bass, and getting him out the weeds was a battle, and nice jump at the end was beautiful site that my wife happened to catch on her camera! 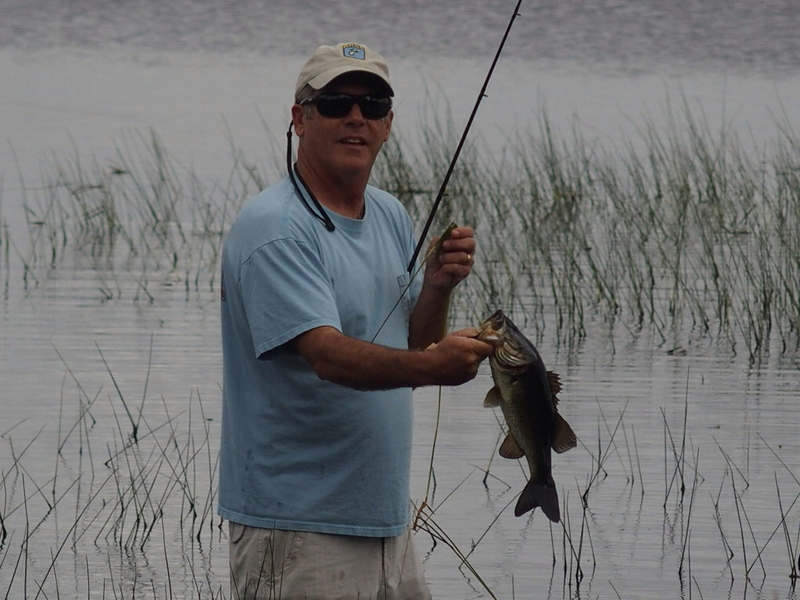 I can attest tot he fact that bass are alive and well on the Clermont Chain, so take a trip to any of the lakes on the Clermont chain, you will not be disappointed. This entry was posted in Uncategorized on November 26, 2014 by shurstrike. 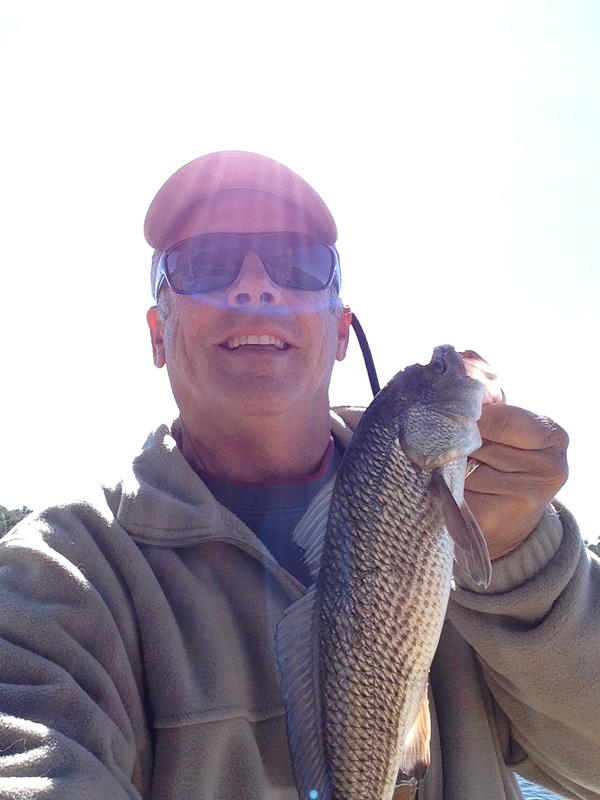 Welcome to my Florida State Parks fishing tour! 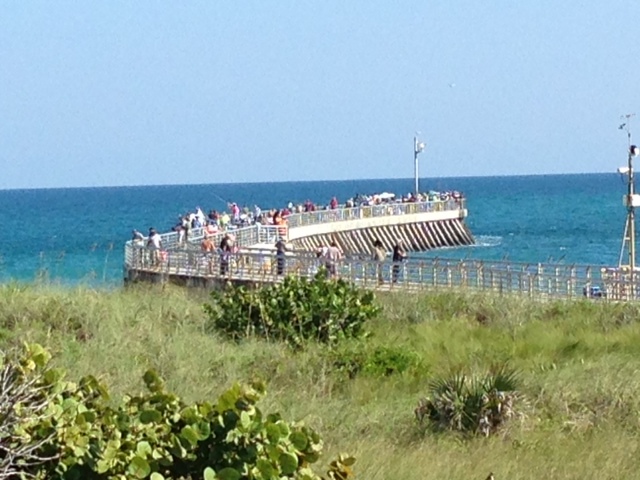 I plan to visit as many Florida State Parks as I possibly can in the next 15 months. 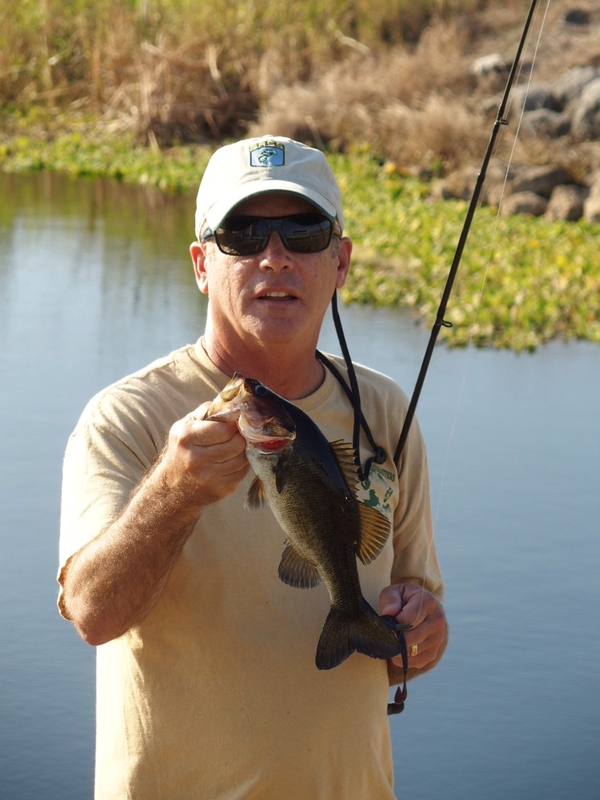 With 140 or more parks in Florida, and most offering fishing, I will do my best to catch a fish in as many as possible! My wife Sharon and I will be traveling the state, she will be doing her own Plein-Air Painting Tour in every park. 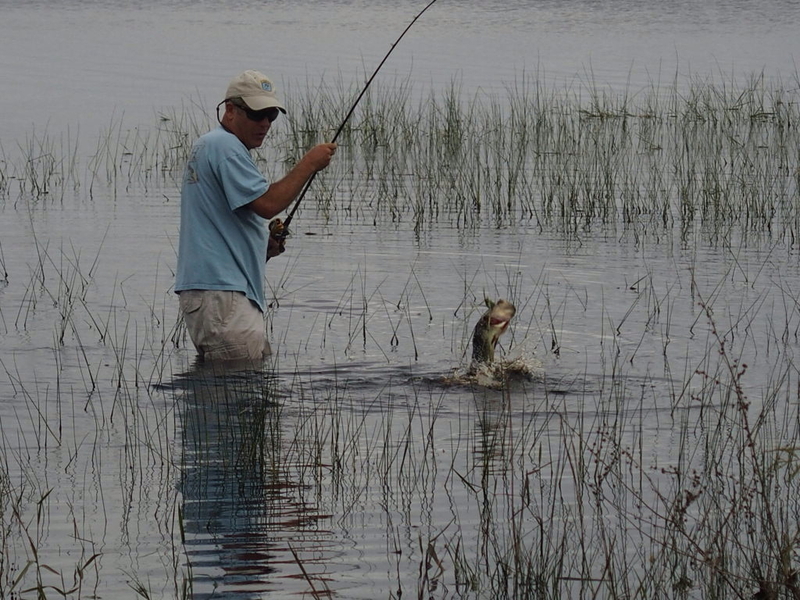 www.floridascenics.com I will be doing my fishing thing when possible, so it should be quite the experience in the next 15 months! Please follow me for the next 15 months and I will post here after each adventure. I fish mostly with artificial lures, and will only have a few hours in each park. Whether it is bass, redfish, trout, snook, or jacks, I will try to figure something out in every park in the short amount of time I will be there. 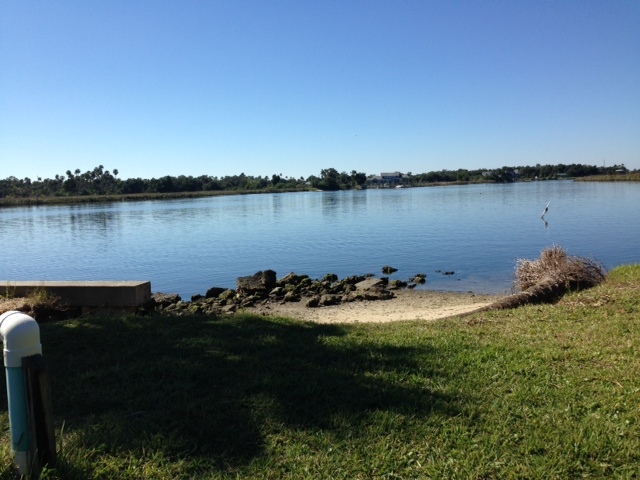 Our first stop were the two Crystal River State Parks in Citrus County. They are adjacent to each other just outside of town. 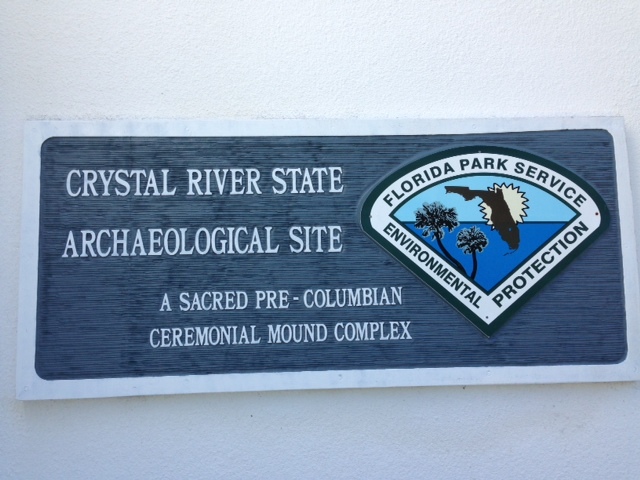 Around 9:30 we arrived at the archaeological Site Park which has beautiful Indian Mounds that overlook the river. 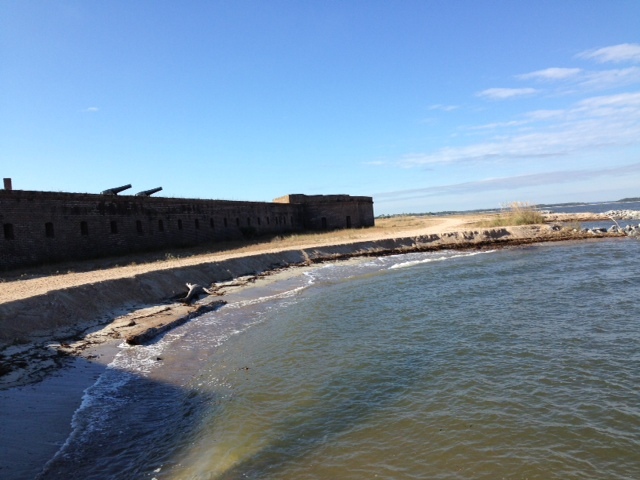 There is a sea-wall along the river, and I grabbed my gear and walked down to scout it out. 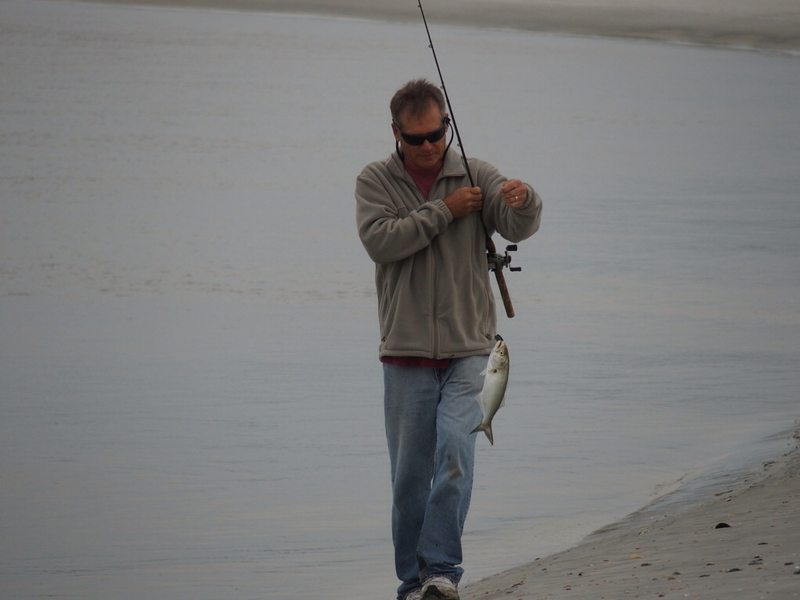 No tide was moving yet, so I decided to tie on my favorite Yo-Zuri Jerk Bait and start casting. No bites, so I changed to a Berkley Shrimp bait, and had a bite, but nothing was there. 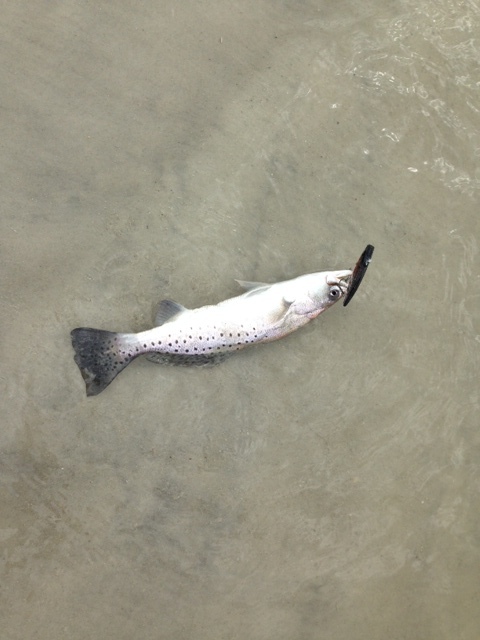 At 10:30 the tide started moving and I went back to the point where I started, and quickly had a strike on the Yo-Zuri. 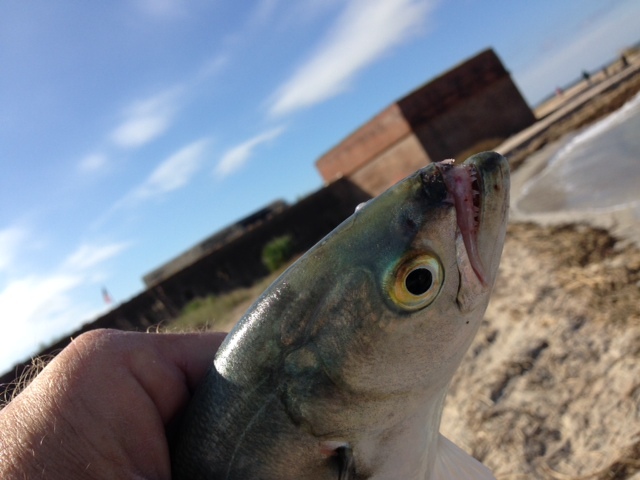 Two cast later, I had my first fish, a small but feisty red fish! Unfortunately, that was it for the first park, and we left and went to the Crystal River State Park just down the road. 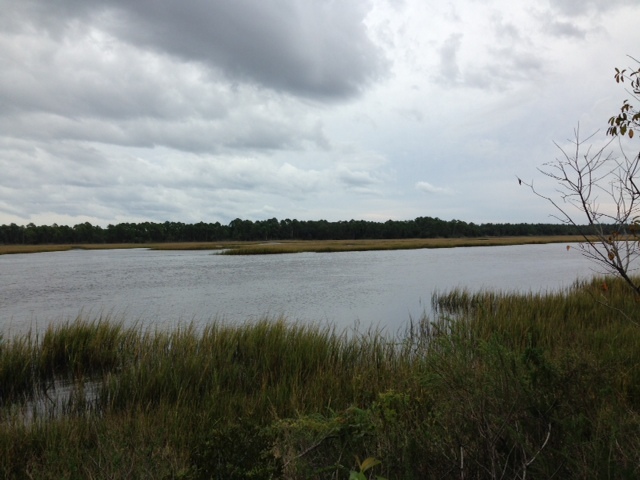 We stopped at the “Mullet Hole” which is an inlet off the river with deep water. It may have been a rock quarry at one time? I quickly caught a Lady Fish on the Yo-Zuri, but since it wasn’t easy to move around and cast, we decided to walk over to a canal off the river which had more room. 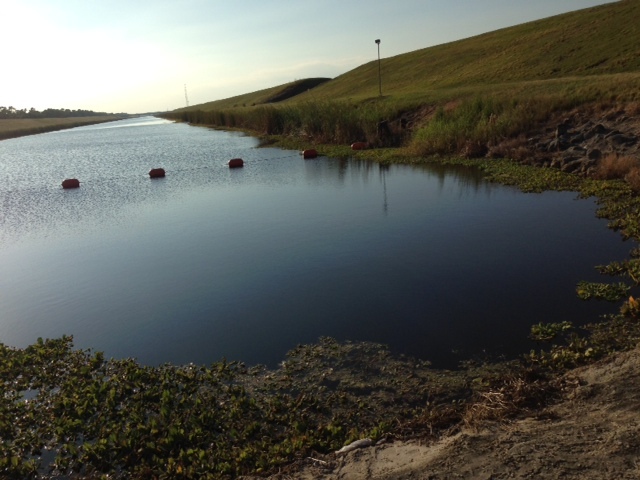 I soon realized that bass inhabit this part of the river as well when I caught a small 12″ bass on the jerk bait. I ended up with a few more bass and even got into a school of Lady Fish that were fun to catch! 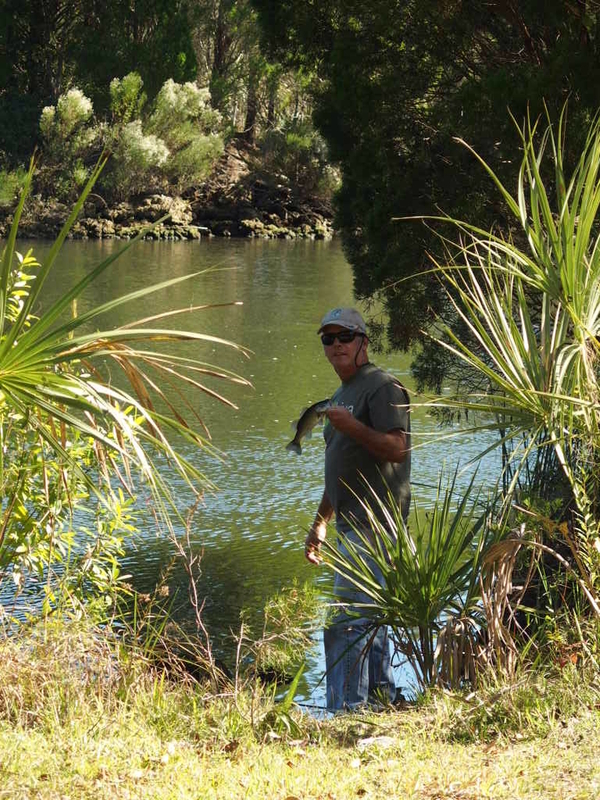 The Crystal River is unique, since it has a spring in close proximity to the Gulf, and you can fish for bass, red fish, and trout on the same trip. I never did end up with a trout but a very enjoyable trip which I highly recommend. This entry was posted in Uncategorized on November 4, 2014 by shurstrike.